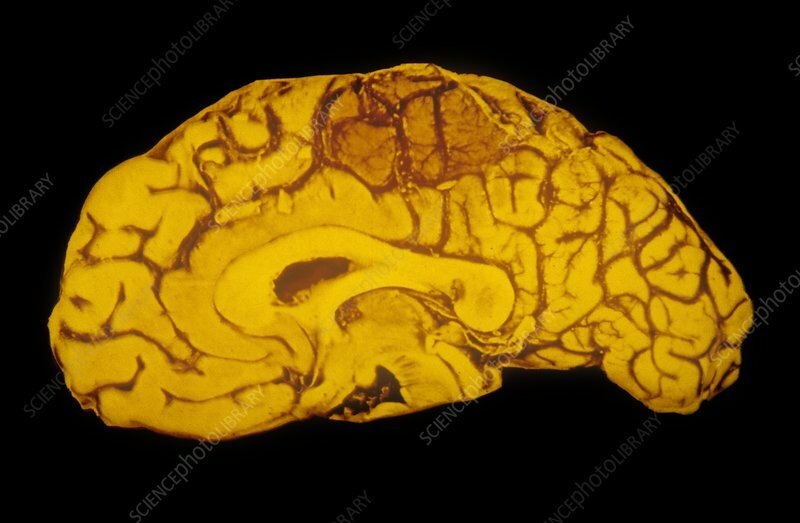 False-colour photograph of a section of a post- mortem specimen of a human brain, showing an area of cerebral haemorrhage (top, red) - the result of bleeding from a cerebral artery into the tissue of the brain. Cerebral haemorrhages usually occur through a combination of degeneration of the arteries and high blood pressure. The effects of such a haemorrhage depend on the site and volume of blood loss and vary from temporary weakness or numbness to coma and death.